Exercising, for most of us, will not only help us to look good but also to feel good. It keeps us energized and healthy. The benefits of doing regular exercise with proper diet goes a very long way. It technically makes you feel younger than your actual age. With regular exercise, age will only be a number. 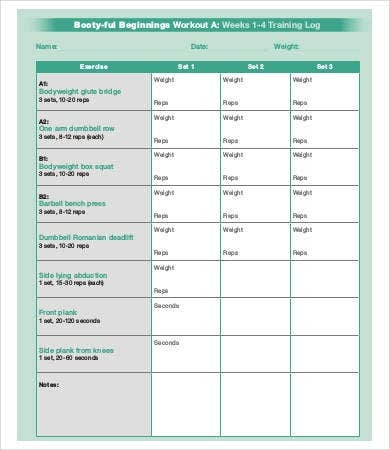 Our website provides you with the simplest but very detailed Log Templates for the sole purpose of monitoring your workout progress. 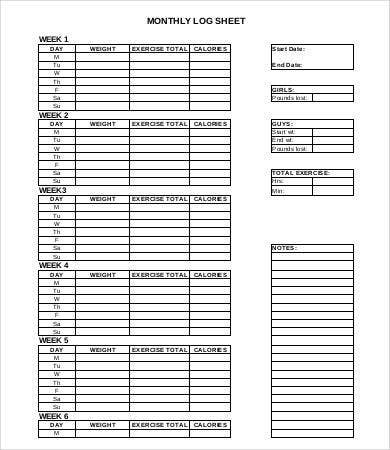 With these templates, you can keep track whether your number of reps have increased or not, and for weightlifters, you can also keep track of how much weight you lifted. 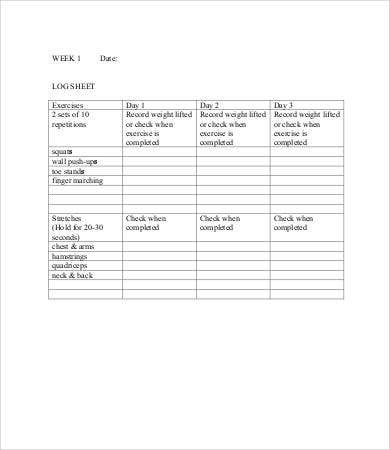 From what I have learned with my own experience working out, monitoring yourself through log sheets may help motivate you to continue and exert more effort since you have a clear image of your progress. 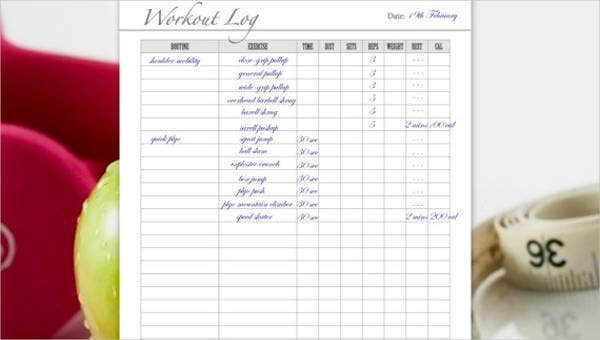 Unlike not using log sheets wherein you won’t be able to determine if there has already been an improvement, the use of log sheets will give us a record of what we did in previous sessions and what you can do in future ones. Weight management. 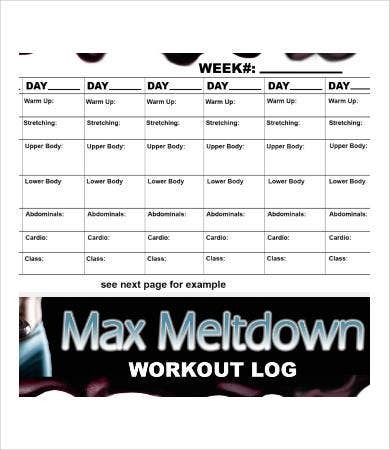 You may either lose or just control your body weight. Increased stamina. You’ll be able to do strenuous activities for a longer period of time with a lesser risk of fatiguing yourself. Increased strength. Your muscles will be more capable of doing activities with less effort. Flexibility. You will be able to achieve your maximum range of motion. Increased immunity. You will be more resistant to illnesses. Positive body image. Regular exercise will promote self-confidence. Stress relief. It will help you look on to the more positive things in life. Discipline. Through following a specific set of rules on what to eat and what not to eat, a workout schedule, and maintaining a positive attitude. Motivated. You will feel like you can achieve anything. You will be able to determine if there have been changes from the time when you first started doing exercise to the present time. You will be able to learn about your strengths and weaknesses. 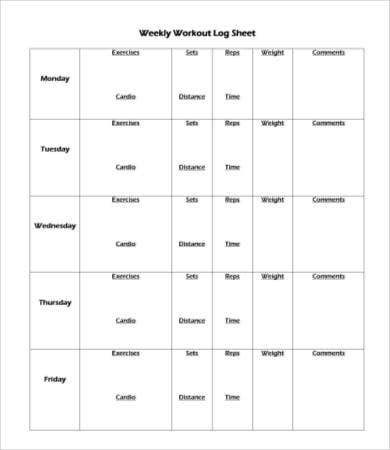 You can motivate other people by showing your log sheets to them. 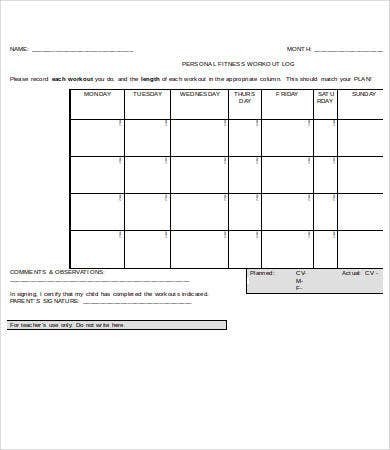 We have a lot of log sheet templates that you can choose from on our website. Whether you want to do it on a weekly or a monthly basis, we have it for you. 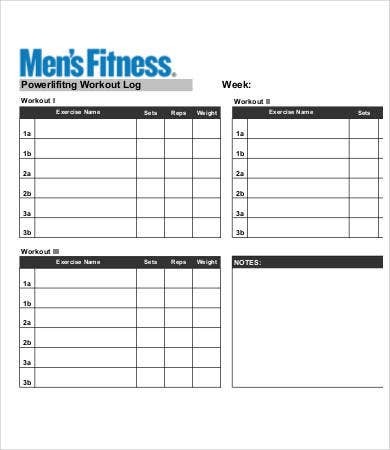 We also have Maintenance Log Templates for those who want to keep an eye on the use of equipment. 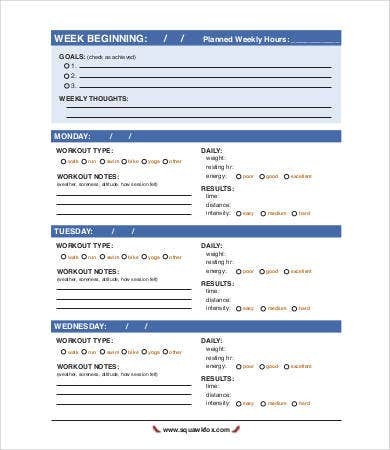 And for those who simply want to monitor the amount of activity they do on a certain time period, we also have Activity Log Templates for you. These templates come in PDF, Doc, and Docx formats to suit your demands. These can easily be downloaded from our website and entirely editable on your computers for your convenience. You can either have it printed as hard copies or just work on it straight away on your personal computer, tablet, or mobile phone. 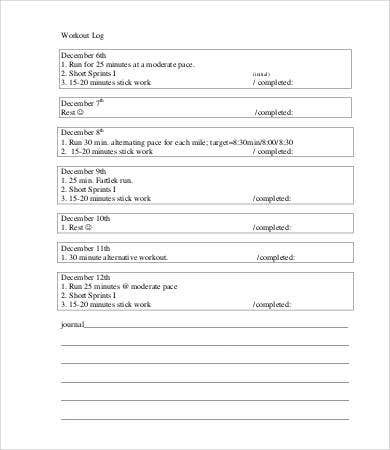 For other templates, also check out Work Log Templates, which companies and businesses can use to monitor the attendance and productivity of their employees. Feel free to check out even more sample template from our website on the links below.